1. Hack is back: For those befuddled and frustrated by the Jets' refusal to play Christian Hackenberg in 2016 and 2017, well, now is your chance to see him in a game that means something. The former second-round pick is expected to start Sunday for the Memphis Express of the Alliance of American Football, an eight-team developmental league that kicked off this weekend. Kickoff is 4 p.m. ET on CBS Sports Network. 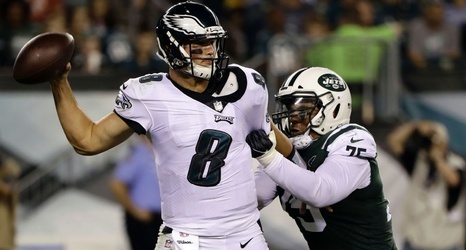 Hackenberg, who bounced around in 2018 from the Jets to the Oakland Raiders to the Philadelphia Eagles to the Cincinnati Bengals, sounds excited about the prospect of rebooting his career.